Have you ever gone to a networking event alone? This thought terrifies most people and for good reason. I know you’re thinking, “Melissa, why would you go to an event like this by yourself? Why wouldn’t you just bring a friend?” Of course, I would have loved to go to the She Talks Technology event with a friend, but most of my friends weren’t free, so I pushed myself to go alone. I knew it would be good because I had just returned from a two-and-a-half-year journey around Southeast Asia and was getting back into the job market. By the end of the event, I ended up making a few good connections after initiating conversations that had absolutely nothing to do with work at all. One of my new connections and I clicked so well that she personally referred me to her company’s recruiter saying that I would be a great fit. Would you believe that I actually met her in the bathroom line? Below, I’ll tell you how I made these quality connections. I personally don’t like the word “networking.” Instead, I prefer relationship-building. My reason is that networking comes across as more exclusive to people in business, whereas relationship-building is more inclusive in that it is something everyone can do. Today, I would consider myself an extrovert, but this was not always the case. I grew up painfully shy and my confidence was low because I was always scared to talk to people. In my teens, I started pushing myself to speak more and slowly gained more confidence until making new friends became easy. Whether you’re an extrovert or introvert, relationship-building is something everyone can do and get good at with practice. Make sure you’ve got the basics down before the event: dress professionally and bring business cards (if you have them) and some copies of your resume with you. Remember to relax and don’t put a lot of pressure on yourself to chat with as many people as possible. The event I went to had over 200 attendees, but I knew if I came away with one, or a few good connections and conversations, it would have been a good day. When I arrived at the event, my heartbeat increased as I got closer to the building. One of my biggest fears at an event like this is everyone noticing that I’m standing around alone. Thankfully, this event had booths, so I could casually explore the displays and ask questions. The people at the booths didn’t always greet the guests, so I initiated conversation by asking questions about their organization. When I started talking to other people, it was always a hit or miss. Some people would just be in the mood for a quick “hello” and then get back to their group. That’s okay. When attending these types of events, read people’s moods and, if you feel like you’re not getting any momentum, move on. Since I didn’t make any progress with any of the vendors, I started casually scanning the room until I saw a woman sitting alone. I approached her and asked, “Hi, is anyone sitting here?” She said she had a group coming, but the seat was free. Instead of doing the usual introductions, I like to always like to tell people something unforgettable about myself to make them think, “Wow this person is unique.” I mentioned that I had just come back from being in Asia after almost three years and she was fascinated. She kept asking me questions about my experience and, as the conversation moved forward, she told me more about herself and her work. By the time her friends came to the event, she introduced me and told them I had been in Asia, which seemed to impress. During the break, she invited me to hang out with her group and we chatted effortlessly about family, travels, and a bit about work. I broke away from the first group and while I waited in the long line for the bathroom, I made a joke to the person in front of me. She laughed and we introduced ourselves. Again, I casually mentioned my stint around Asia and she began talking about her own travels around Africa and other places over the last ten years. After a few minutes, she mentioned that her company was hiring many new people and that I would be a good fit with the fast-growing organization. What is interesting is that we had barely talked about our professional experience by this point. I got her business card and ended up applying for and getting an interview with her organization. She was an incredible support in guiding me through the interview process that week for a very competitive position. When you are building new connections, try to keep most of the conversation non-work related. It’s easier to ask for information about work opportunities after having spent 90% of the conversation just getting to know the person you are talking to. I challenge you to try going to a networking event alone. Like anything in life, you never know if you don’t try. Contact Melissa via her LinkedIn profile. 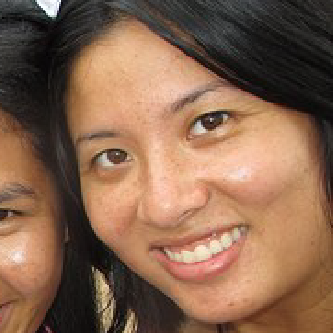 Read about Melissa's time spent living in Cambodia and how she engaged the world after co-op. "So, tell me about yourself." Melissa takes you through how to answer this dreaded interview question. Pauline talks about her past hatred of networking events and what happened to make her change her mind. Read her story.